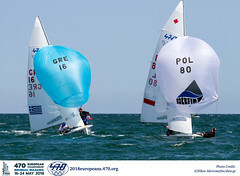 The second clinic of 2009, the Eastern European Clinic, was led by Karlo Hmeljak (SLO) a well known and successful 470 sailor and Olympian, who most recently competed in the 470 at the 2008 Olympic Sailing Competition in Qingdao. The clinic took place from 31 August-2 September, scheduled immediately before the Open Balkan Sailing Championships which were held on the Danube River in Serbia. The clinic was specifically aimed at sailors from countries with the Balkan region, where the 470 Internationale wanted to support the increasing participation and interest in the class. 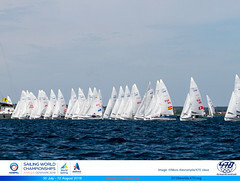 Participating crews at the Open Balkan Championship were from Bulgaria, FYRO Macedonia, Greece, Romania and Serbia. 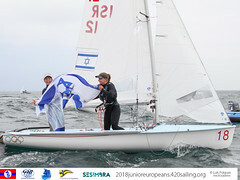 With the exception of Greece, which has a strong 470 fleet, the rest are nations where the 470 Class has been recently developing. Crews from Serbia, Bulgaria, Romania and for the first time FYRO Macedonia participated in the clinic. Seven crews took part in the coaching sessions prior to the Open Balkan Championships, with nine teams joining the coaching support during the Championships.The pre-Championship coaching were intensive days. Many of the crews own coaches also took the opportunity to observe Karlo's instruction and improve their own knowledge. The focus of the three day clinic included boat preparation, on the water maneuvers and techniques, goal setting, teamwork and communication. Practice races were held and Karlo also held individual debrief meetings with each crew. Commenting after the clinic, one of the Serbian sailors said “this clinic has been the best thing that happened in this area in the last few years”. Over and above the expertise which was shared by the Instructor, the new bonds that the 470 Class has created in this region of the world were clear. Thanks to the Serbian Sailing Federation and the host Sailing Club AJK Beograd for hosting the clinic and special thanks to Karlo Hmeljak whose contribution to the clinic was really something extraordinary.